MOIL is a Schedule “A” Miniratna Category-I Company. It was originally incorporated as Manganese Ore (India) Limited in the year 1962. 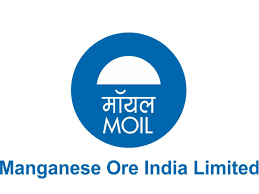 Subsequently, a name of the Company was changed from Manganese Ore (India) Limited to MOIL Limited during the financial year 2010-11. MOIL Ltd(BSE: 533286 | NSE: MOIL ) Board has approved a proposal for buyback of up to 87.66 lakh shares at Rs 240 per share, aggregating Rs 210.4 cr which is 3.29% of a total number of paid-up equity shares. The Board of Directors of MOIL Limited on February 5, 2018 passed a resolution to buyback Equity Shares of the Company not exceeding 87,66,720 (Eighty Seven Lakh Sixty Six Thousand Seven Hundred Twenty) fully paid-up Equity Shares of face value 10 each from all the existing shareholders / beneficial owners of Equity Shares of the Company as on Record Date, on a proportionate basis, through the “Tender Offer” process, at a price of 240 (Rupees Two Hundred Forty only) per Equity Share payable in cash, for an aggregate consideration not exceeding of 210,40,12,800 (Rupees Two Hundred Ten Crore Forty Lakh Twelve Thousand Eight Hundred only). 1. Firstly to be eligible for the buyback the investor should have shares of MOIL Limited in demat or physical form as on record date 22 February 2018. 2. Once you have shares in demat, you can participate in the buyback process which is opening from 07 March to 20 March 2018 by selling your shares through your broker on NSE or BSE. 3. Then on 02 April 2018, the payment will be given to you for accepted shares and unaccepted shares will be returned to your demat account. (a) Categories in Buyback: (i) Reserved category- For Small Shareholders who hold Shares worth up to Rs. 2 Lacs before the Record date. (ii) General category - For all Shareholders other than Small Shareholders.